Digit Twinning refers to the mapping of the physical world to the digital world in which Internet of Things (IoT) Platforms and Software are leveraged to create a digital representation of physical object or asset. The Digital Twin of a physical object can provide data about the asset such as its physical state and disposition. There are many potential use cases for Digital Twinning including monitoring, simulation, and remote control of physical assets with virtual objects. Solutions focus on Part, Product, Process, and System Twinning. We see Digital Twinning playing a key role in many IoT Operations processes including IoT Application Development, Testing and Control. The implementation of Digital Twins will also enable distributed remote control of assets, which will place an increasingly heavy burden on IoT Identity Management, Authentication, and Authorization. This research evaluates Digital Twinning technology, solutions, use cases, and leading company efforts in terms of R&D and early deployments. The report assesses the Digital Twinning product and service ecosystem including application development and operations. The report also analyzes technologies supporting and benefiting from Digital Twinning. 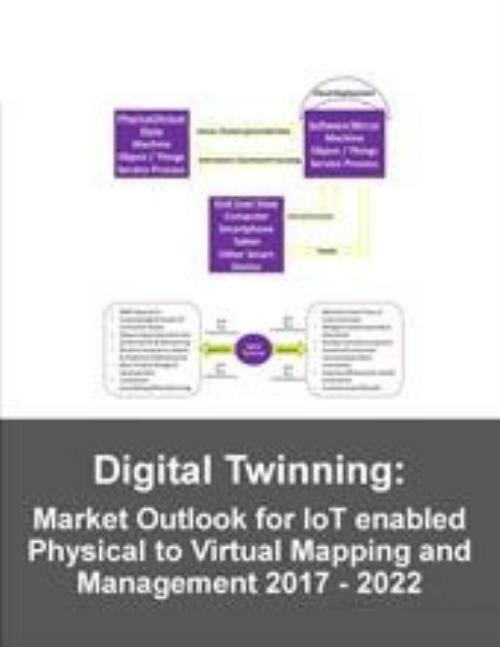 The report also provides detailed forecasts covering Digital Twinning in many market segments and use cases including manufacturing simulations, predictive analytics, and more.